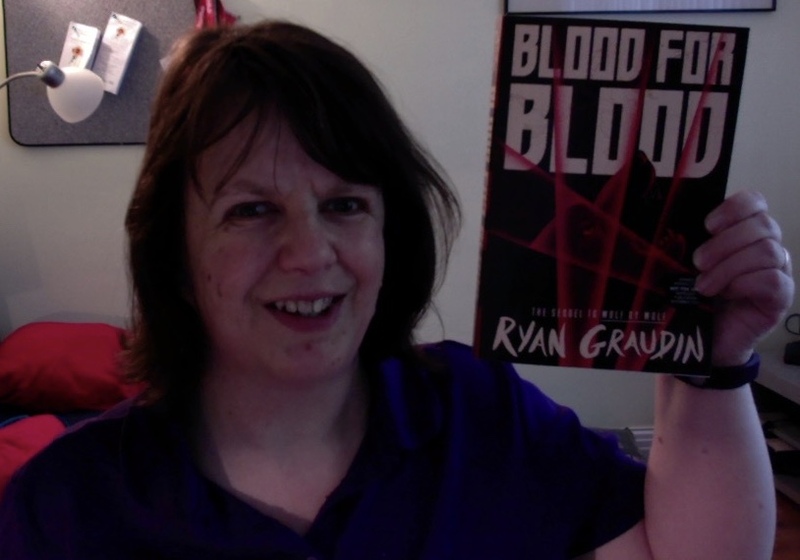 As you will see from my picture, I got my hands on a copy of Blood for Blood by Ryan Graudin! This is the sequel to Wolf by Wolf which I adored. You can read my review. Those of you who follow my blog will know that I missed out on this one at BEA in Chicago, and that it was one of my most anticipated reads for 2016. Hachette Canada was kind enough to send me an Advanced Reader Copy. Thank you soooooo much. Expect me to share my thoughts on it over the next week or two. Blood for Blood will be released on November 1st 2016. More exciting news, this time from the world of audiobooks. Brent Weeks announced this week that Simon Vance has recorded The Black Prism, the first book in Weeks’ Lightbringer series. It was originally recorded by Cristofer Jean, and Vance took over narration duties from book two, The Blinding Knife. Now, no disrespect to Mr. Jean, but this is Simon Vance we’re talking about. Winner of multiple Audies and other awards and a damn good narrator. I personally credit Brent Weeks and Simon Vance for my love of audiobooks. When listening to The Blinding Knife (first in the series narrated by Vance) I kept getting strange looks from my husband for snickering out loud at Vance’s narration of some of Kip’s quips. For those of you on the fence about audiobooks, I can’t recommend this series highly enough, especially now that Simon Vance is narrating the whole series. His narration of The Black Prism is now available from Audible. This week I finished Snow Like Ashes by Sara Raasch – you can check out my review if you’re interested. I picked up the sequel, Ice Like Fire, from the library and it’s next on my reading stand. Or, at least, it was until Blood for Blood arrived on my doorstep! The second book I finished was Kate Elliott’s Court of Fives. I found myself really drawn into this world – expect a full review next week – and I’m very happy I have the Advanced Reader copy of the sequel, The Poisoned Blade. As I don’t have audiobook versions of Blood for Blood or Ice Like Fire, I am listening to Cold Fire, the second in Elliott’s Spiritwalker trilogy. In non reading news, I have finally 100% completed Lego Star Wars: The Force Awakens! Yay! Now I can finally get back to reading. That’s all for this week folks – see you again next week.